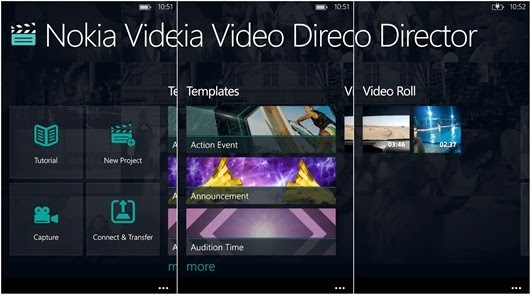 Today, Nokia just released their Video Director app for Nokia Lumia Windows Phone 8. The app is already available before, in the Nokia Lumia 2520 Windows 8.1 RT tablet. This Windows Phone version of Nokia Video Director is not a standalone app, but it's a great companion app for your Nokia Lumia 2520. 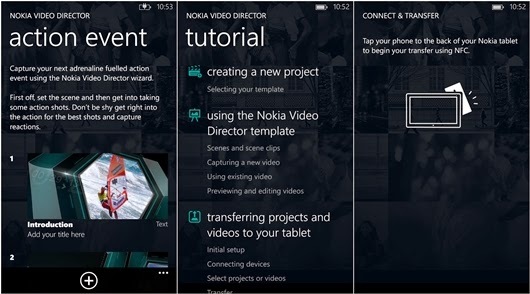 With this app, you can transfer video from your Nokia Lumia Windows Phone to the Nokia Lumia tablet, and also create a project by using the available templates from the companion app, and then finish the project by transfer it to the Nokia Lumia tablet.